Saturday, August 27, 2016: I found this discarded white bucket along the shoreline out front of SMS Tower #18 at the end of Pico Blvd. 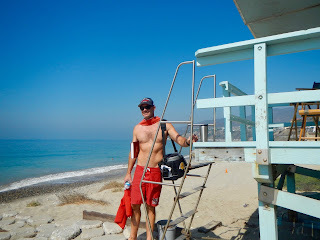 on Saturday morning, Aug. 27th and used it to pick up trash along the water line from Tower 18 - 16. 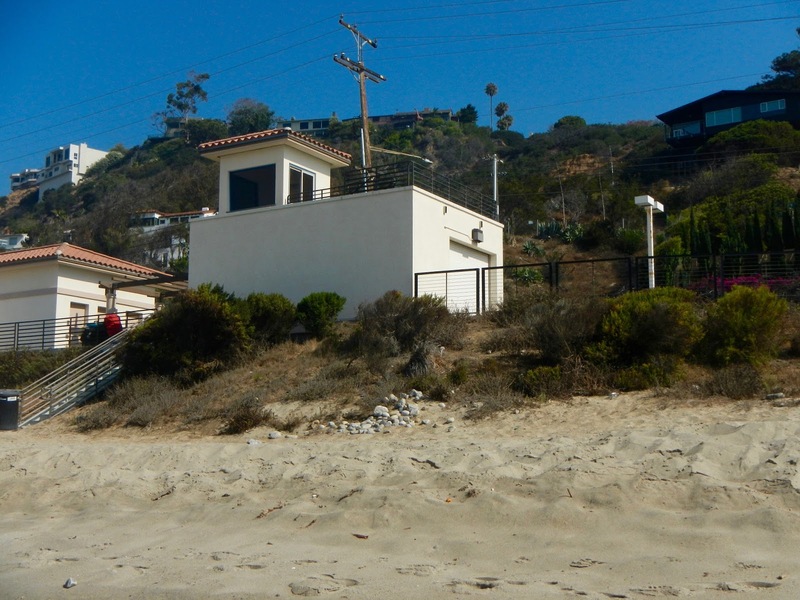 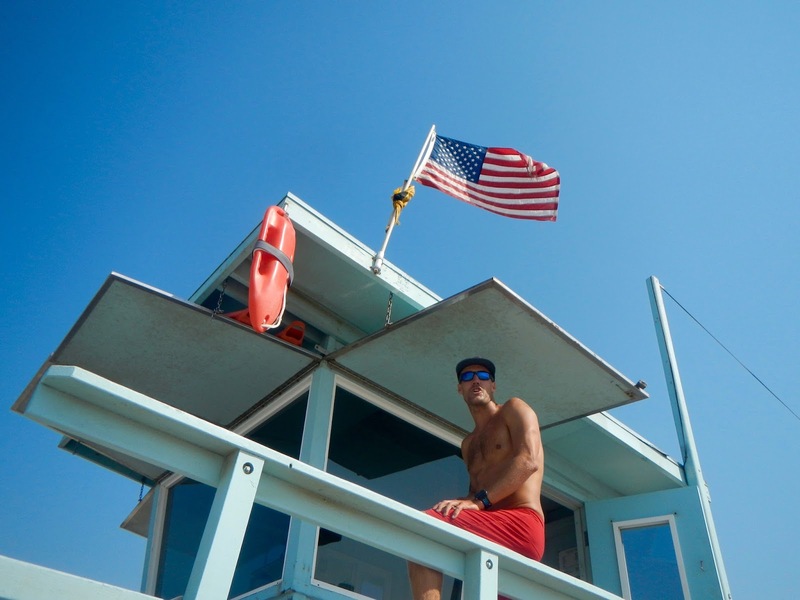 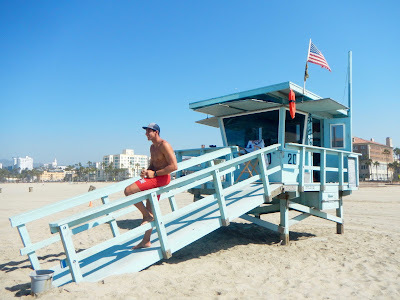 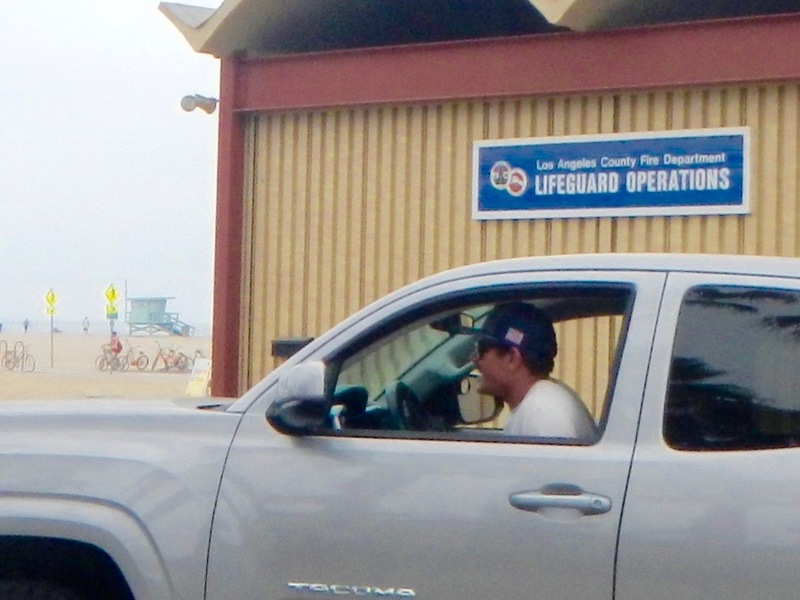 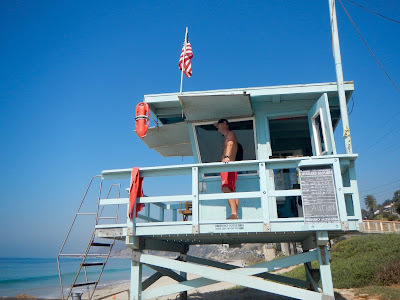 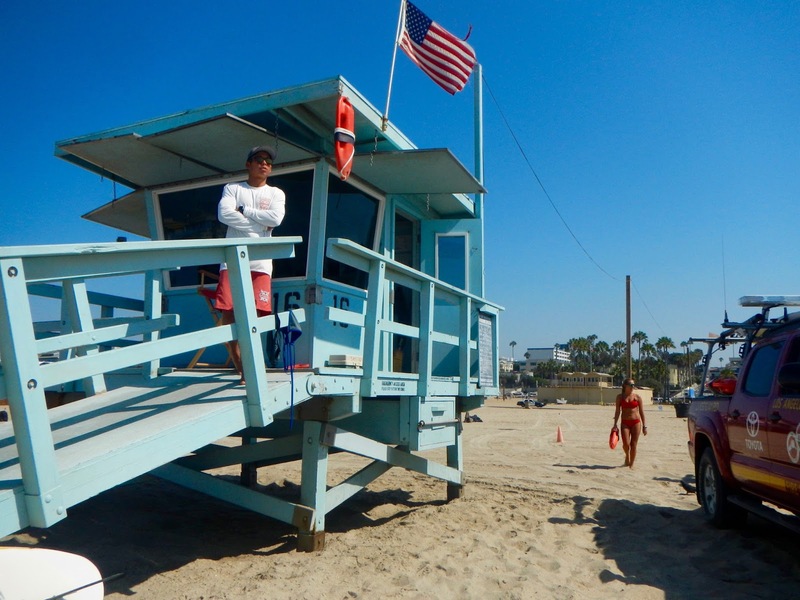 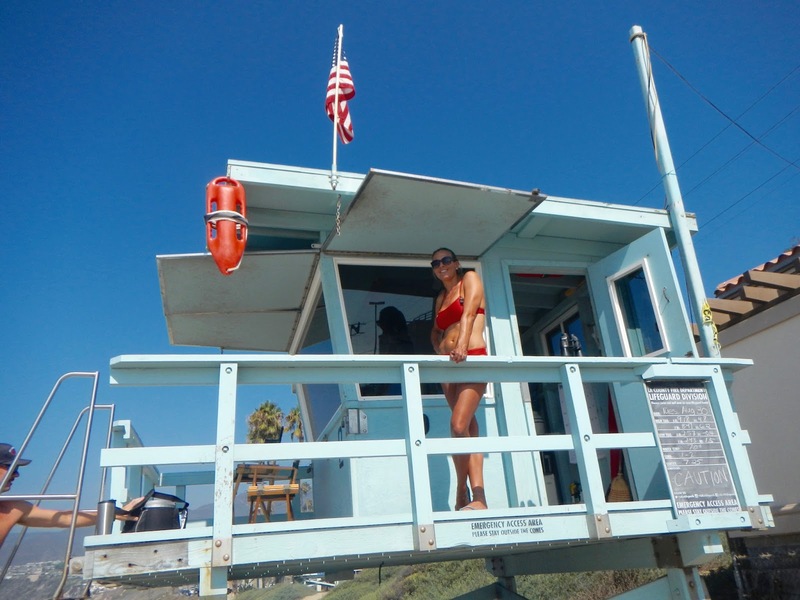 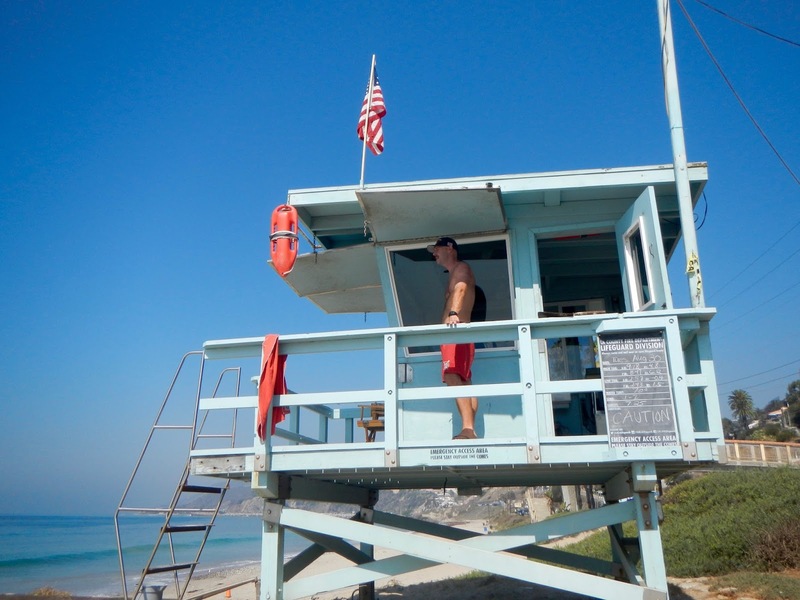 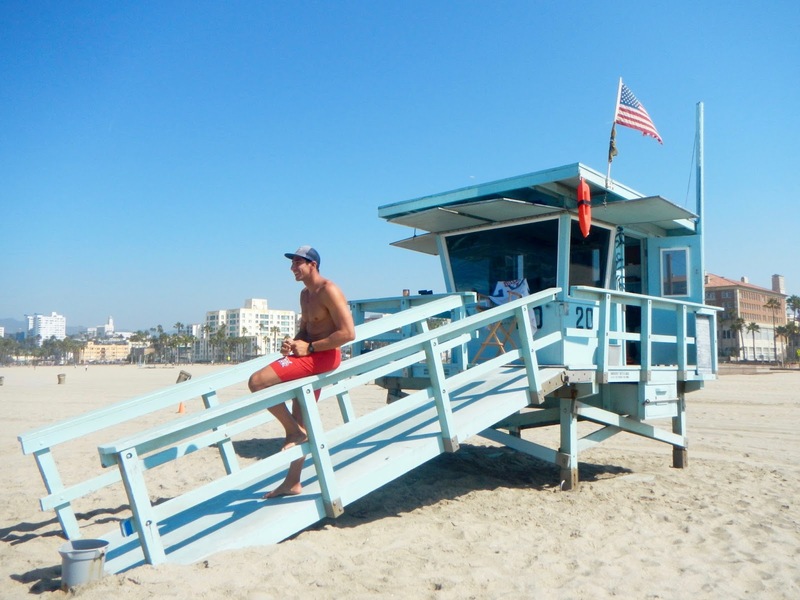 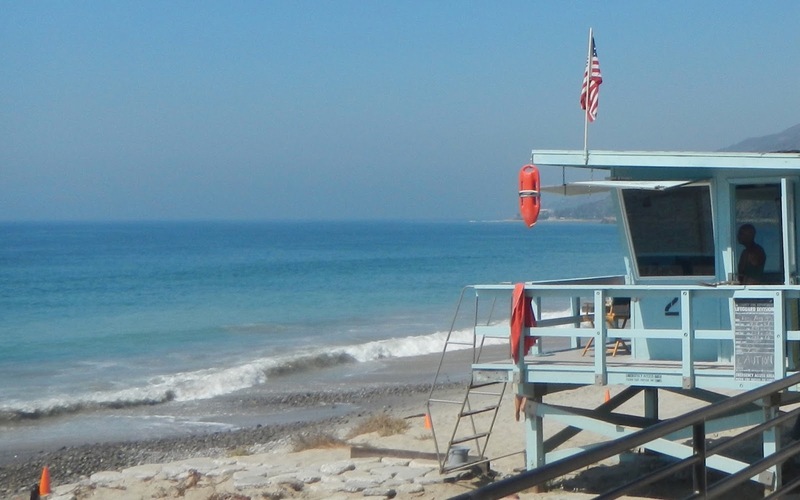 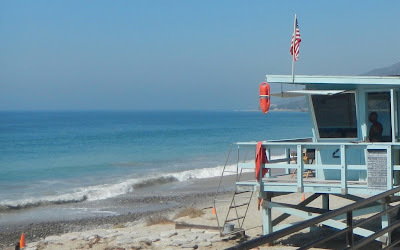 There wasn't as much as usual and I mentioned it to the lifeguards at both Tower #16 and Tower #20 and they said that there were three young girls, approx. age of 12, that we picking up trash along the beach, albeit as volunteers that morning. 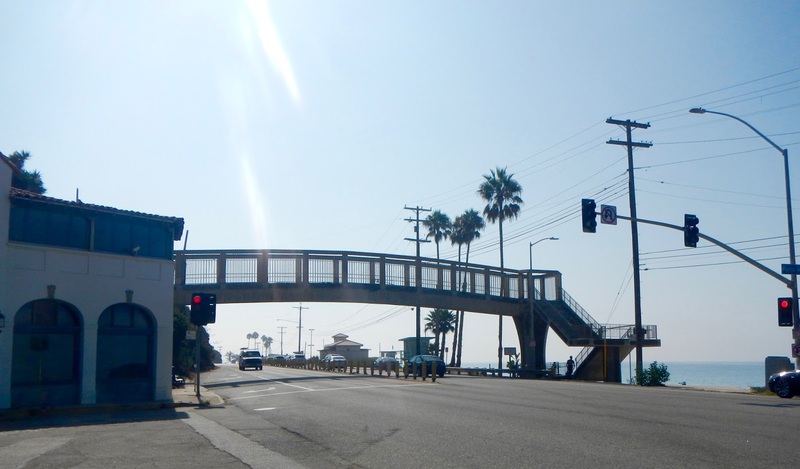 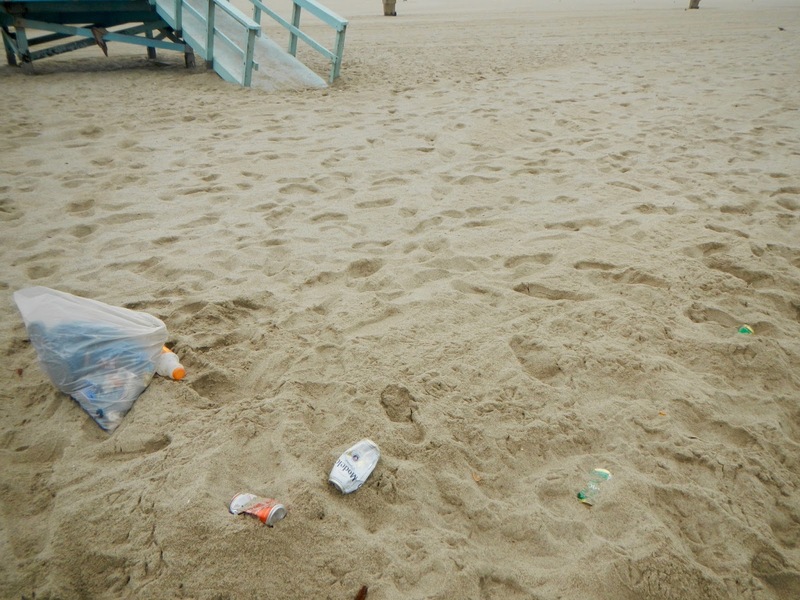 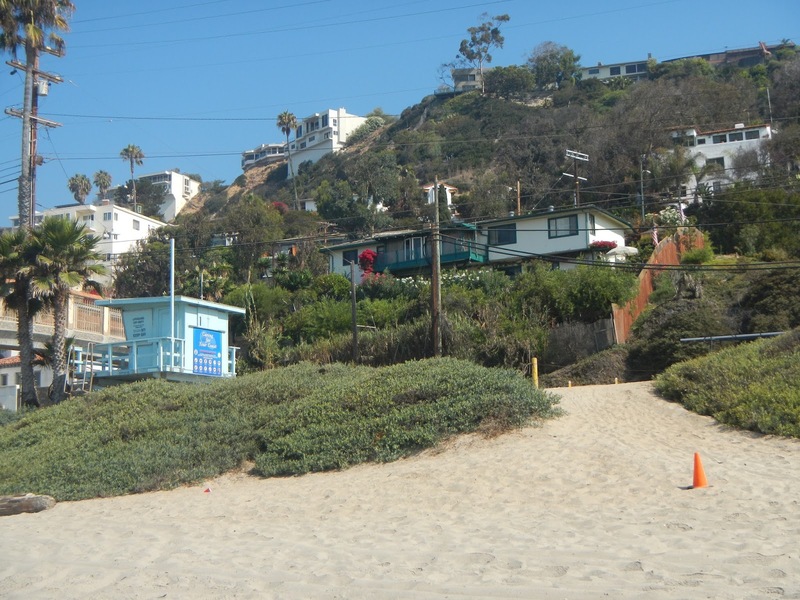 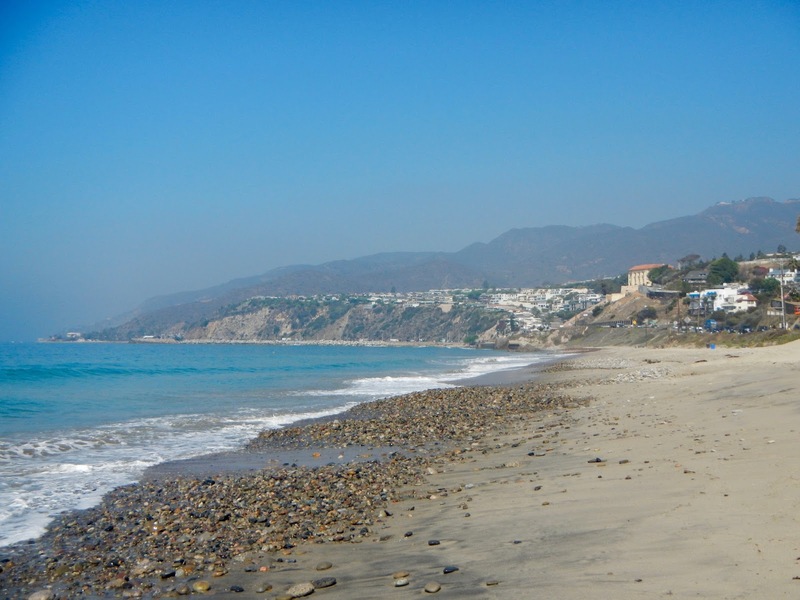 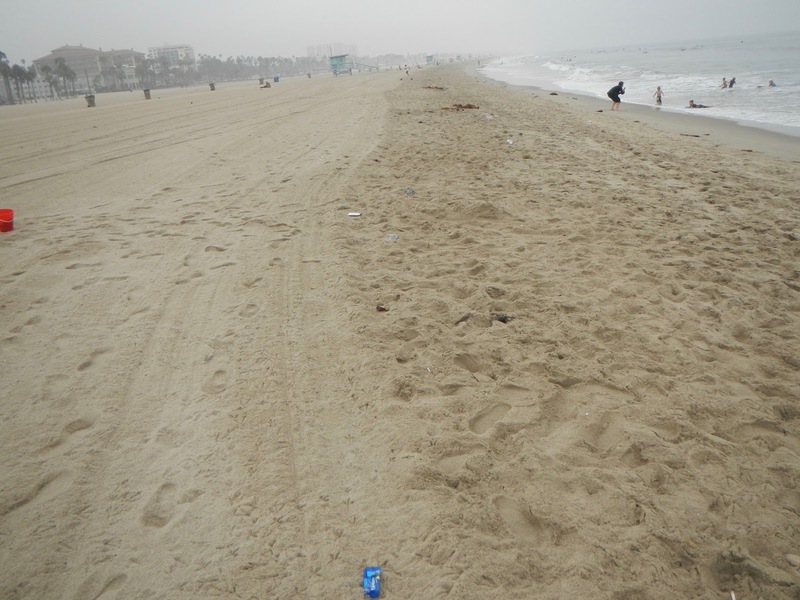 The amount of trash left uncollected and not hand picked by the City of Santa Monica is absolutely staggering! 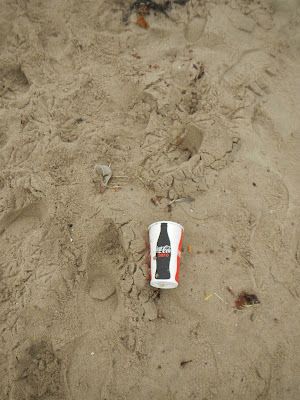 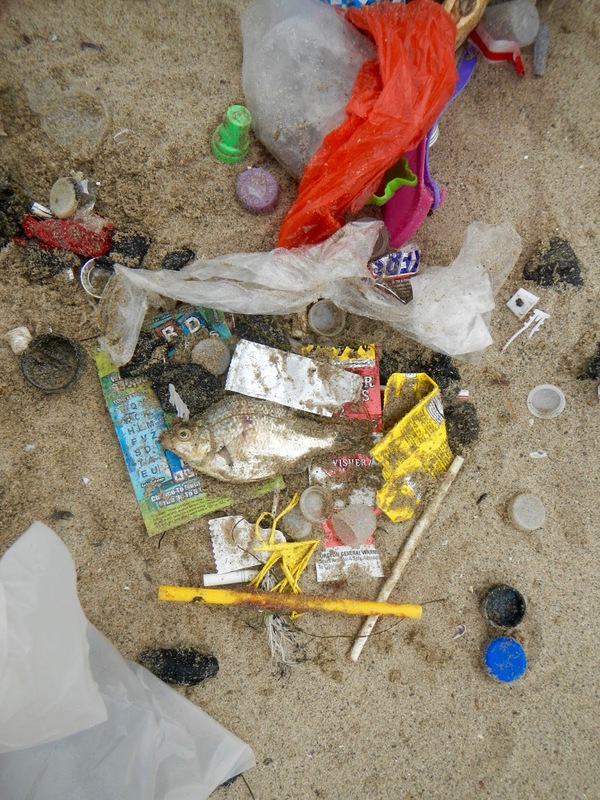 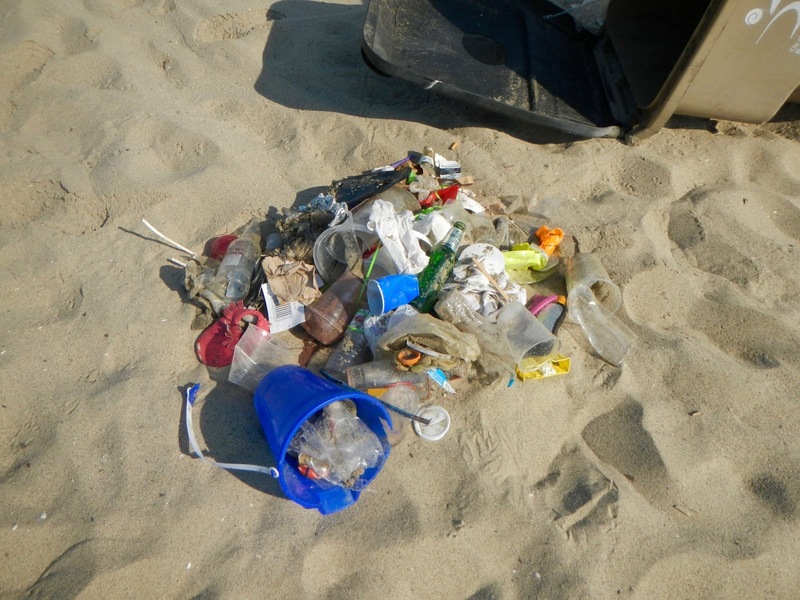 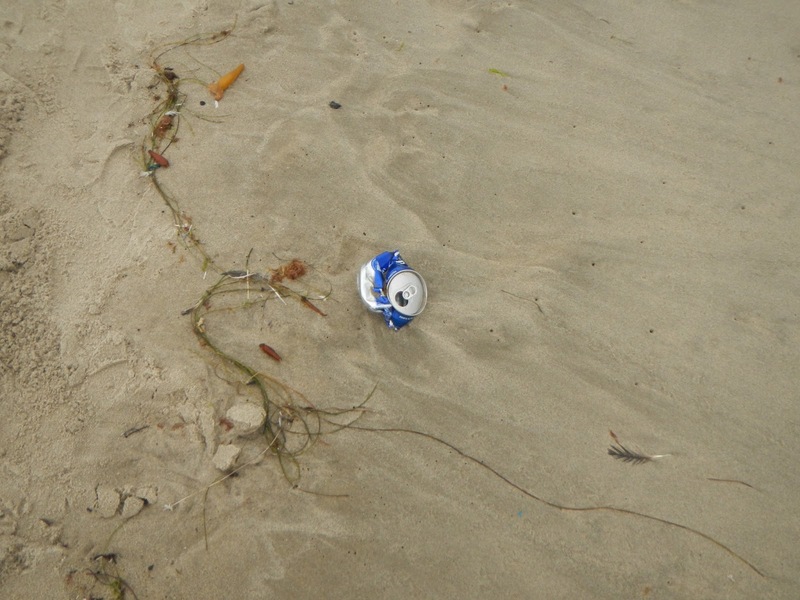 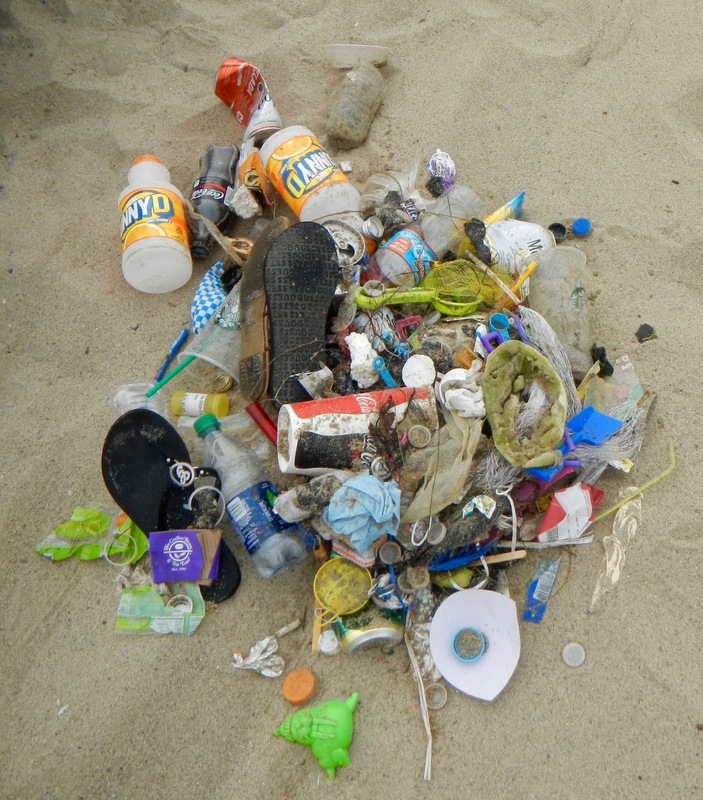 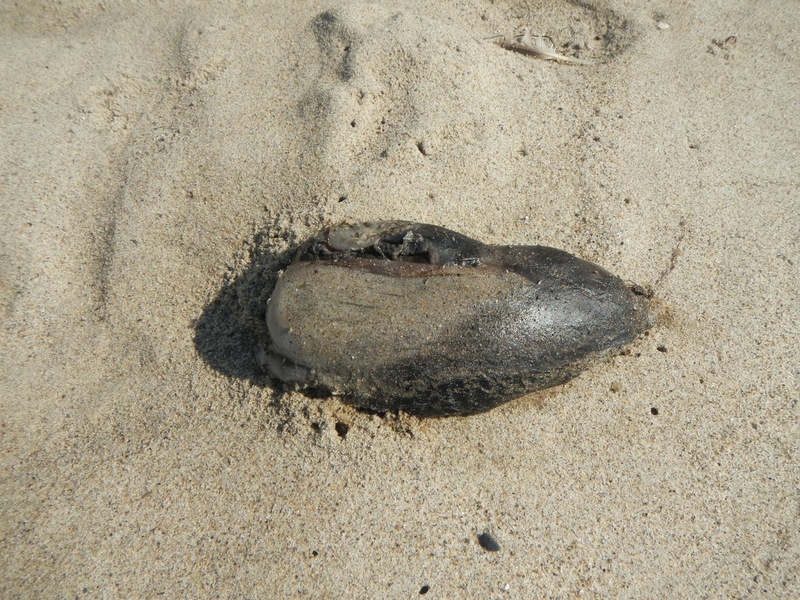 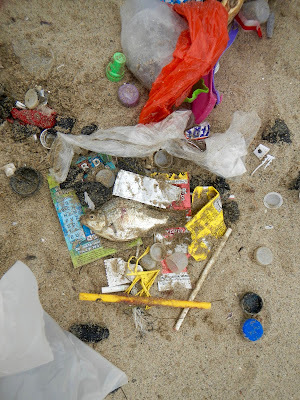 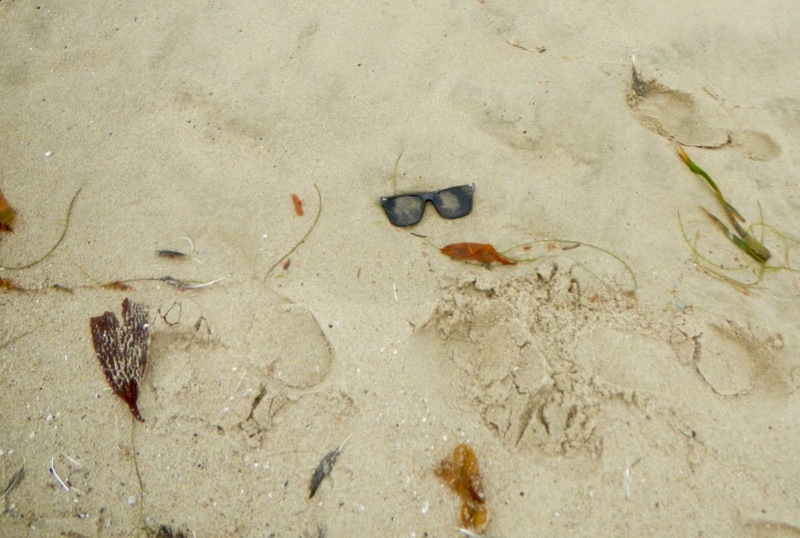 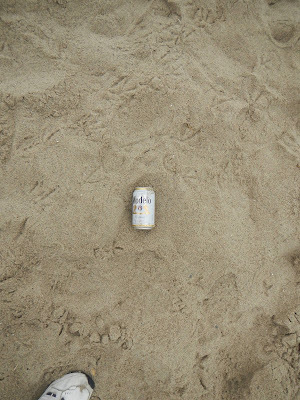 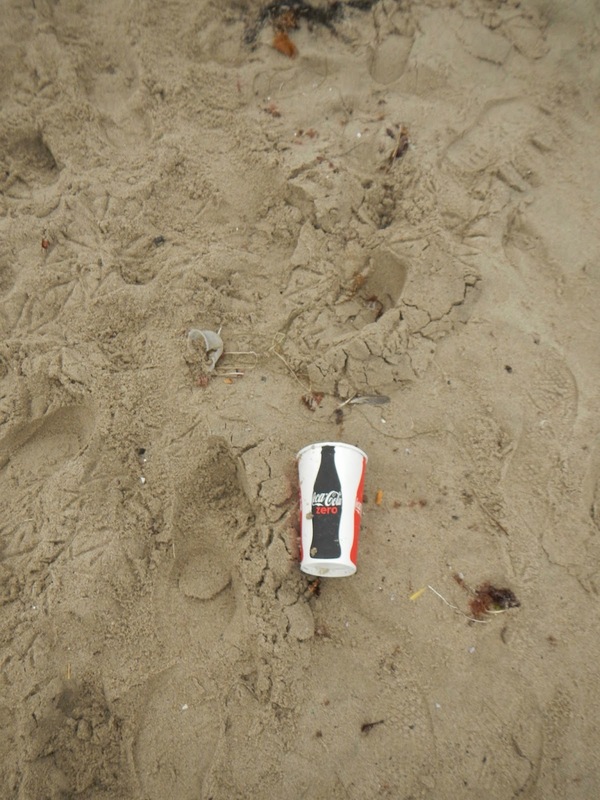 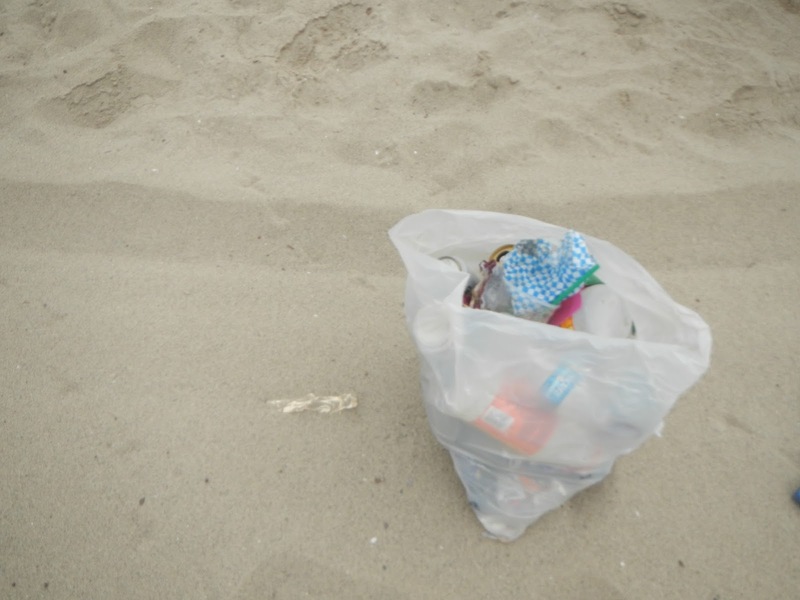 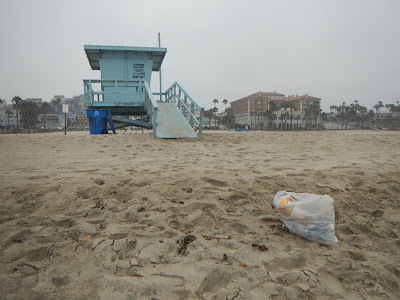 The results of our own efforts, however, illustrates that this is simply not the case and that the City neither regularly, and certainly not daily, bothers to hand pick up the trash in this part of the beach. 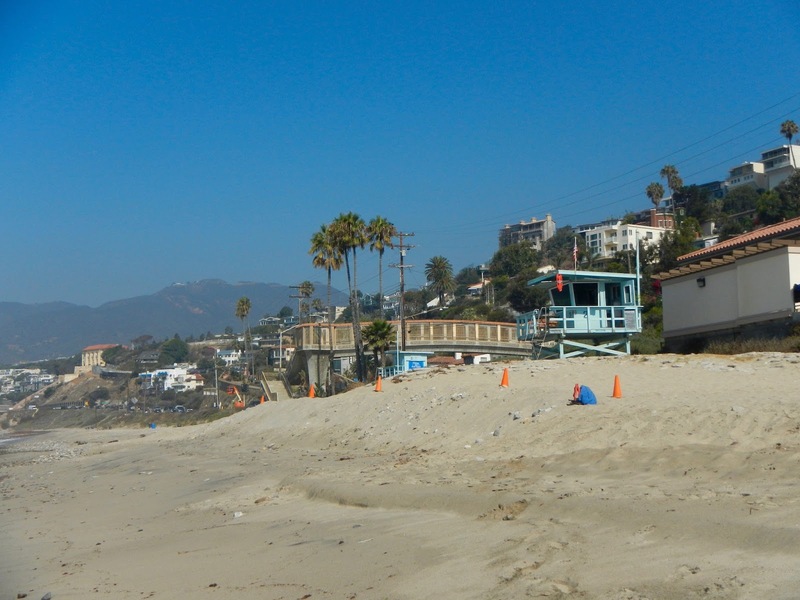 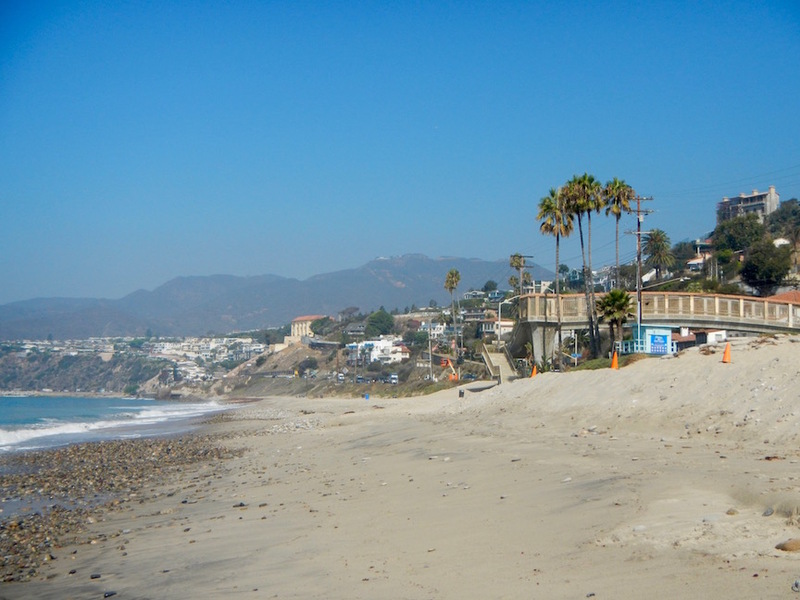 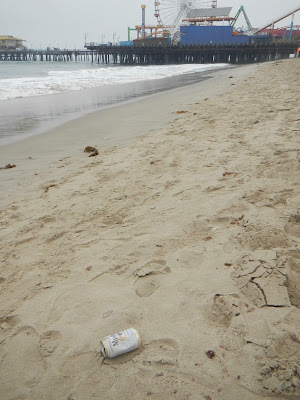 It is hoped that the City will start to actually hand pick up the trash along the shoreline at the beach that they say they are doing and which they are clearly not doing. 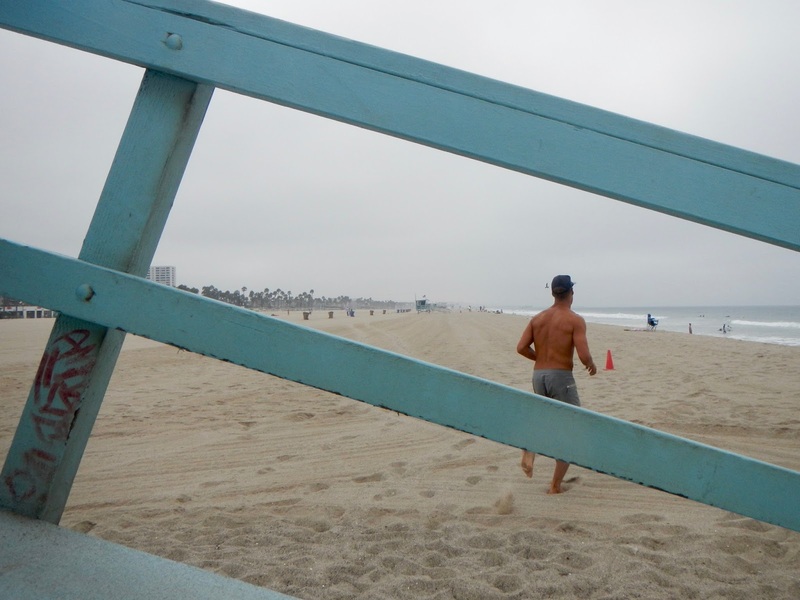 Monday, August 29th... look who is back from Rio!... and working a shift at SMS Tower #20... Azad! 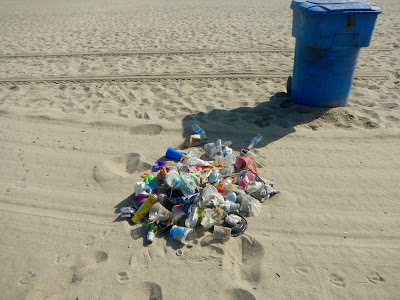 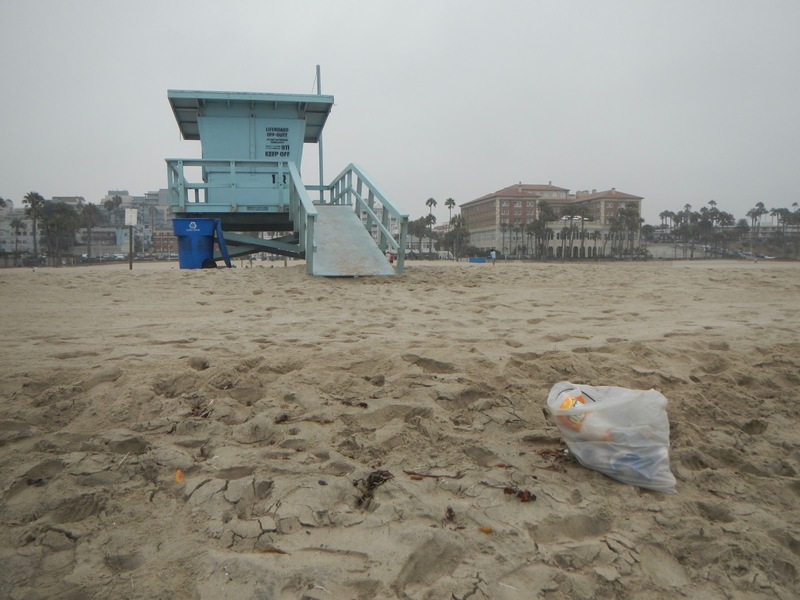 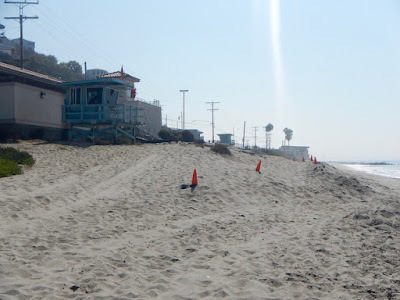 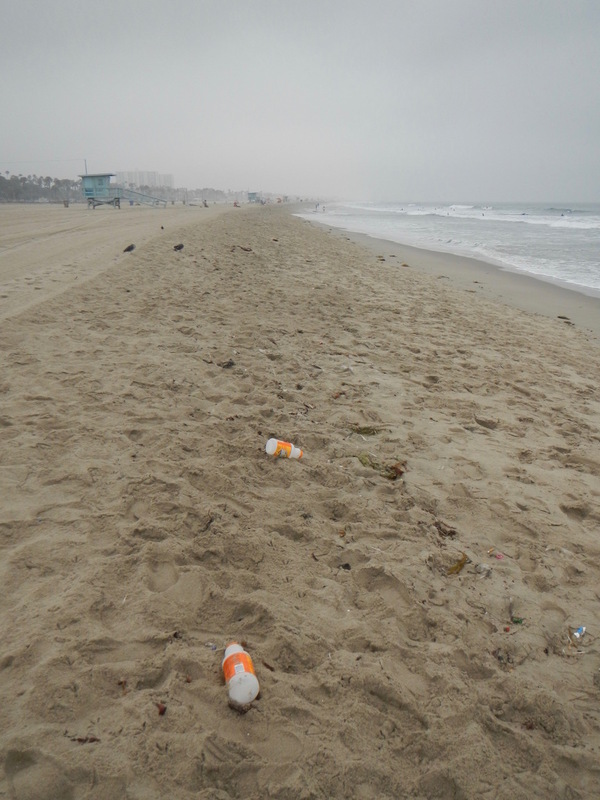 Dateline: Wednesday morning, August 31, 2016... in the continuing saga of the City of Santa Monica not hand picking up the trash from the water line to the berm, here are the photos we took this morning after 10 a.m. which continues to show that there is no hand picking of trash being done on a regular basis by the City of Santa Monica, and certainly not daily. 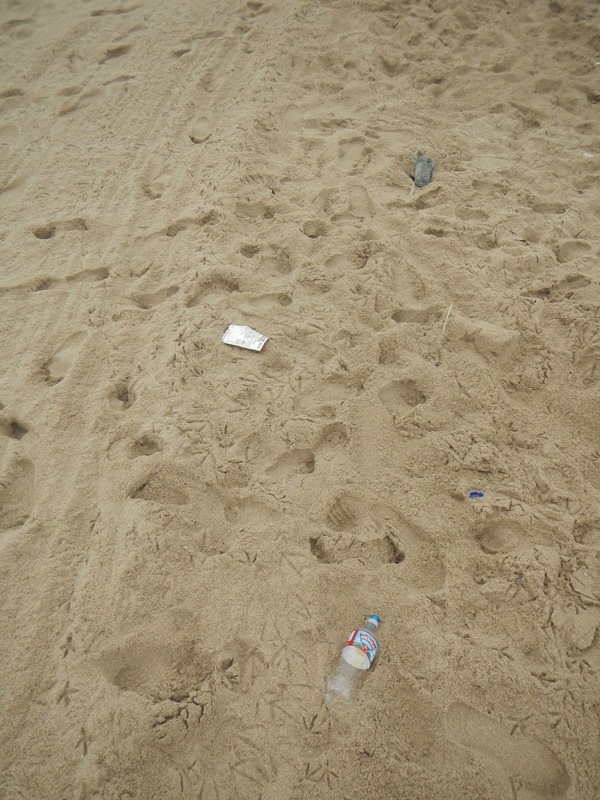 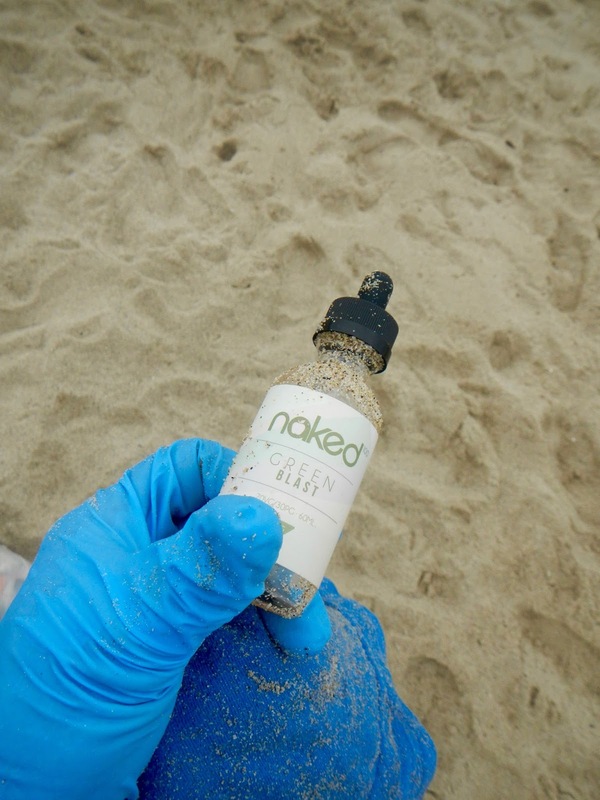 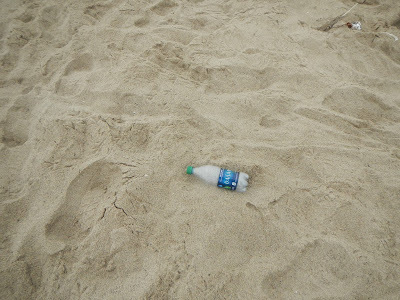 After placing the recyclable material in the recycle bin, the balance was thrown away in one of the beach garbage bins. 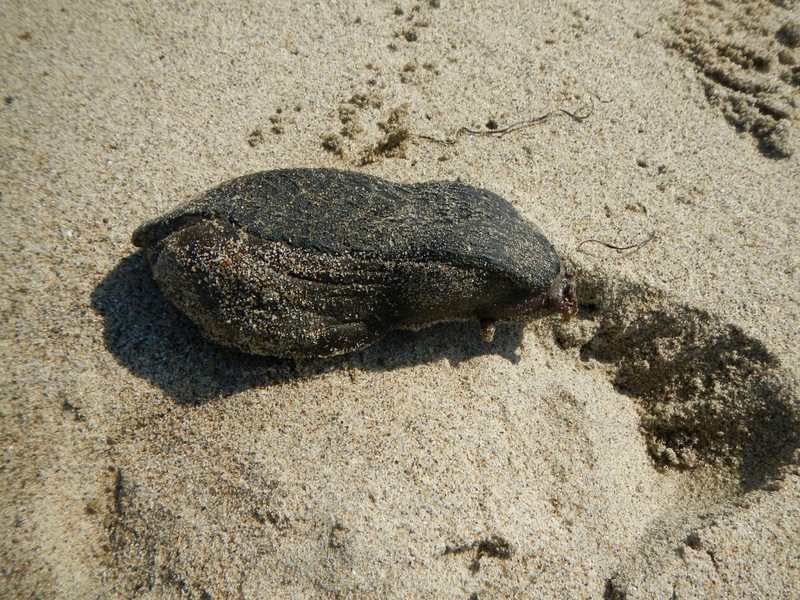 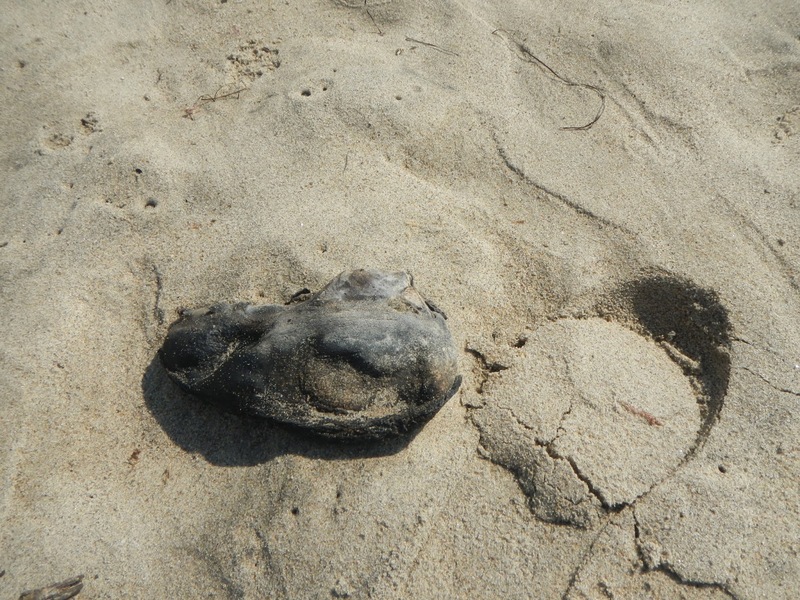 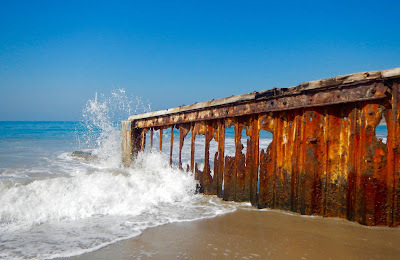 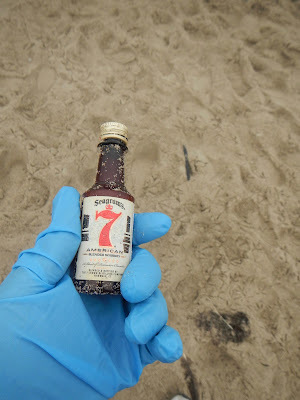 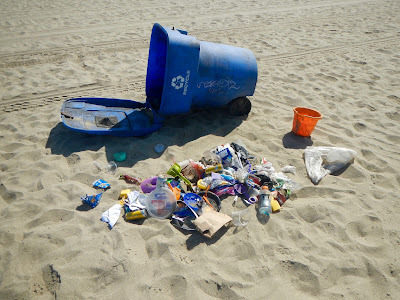 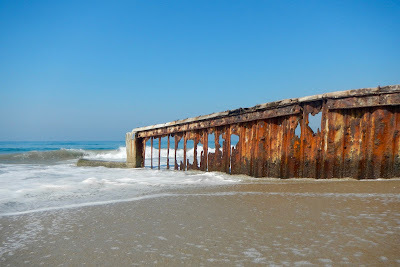 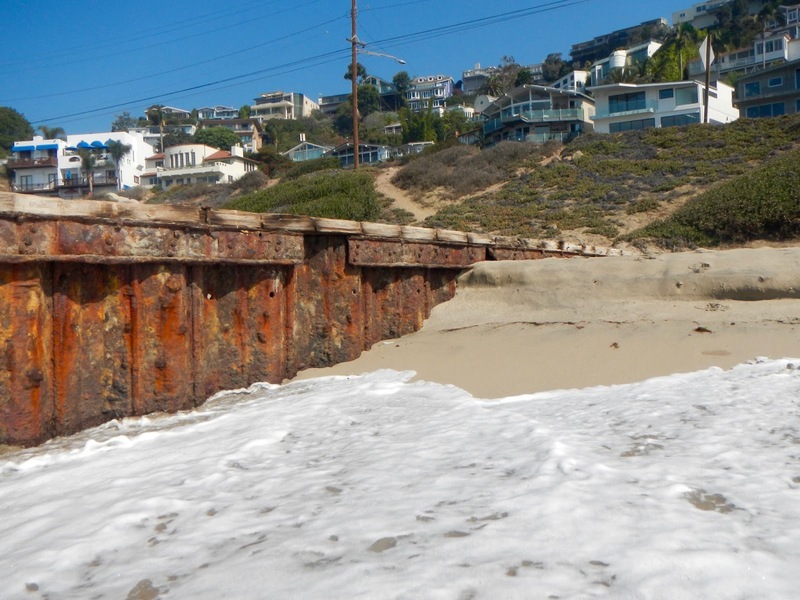 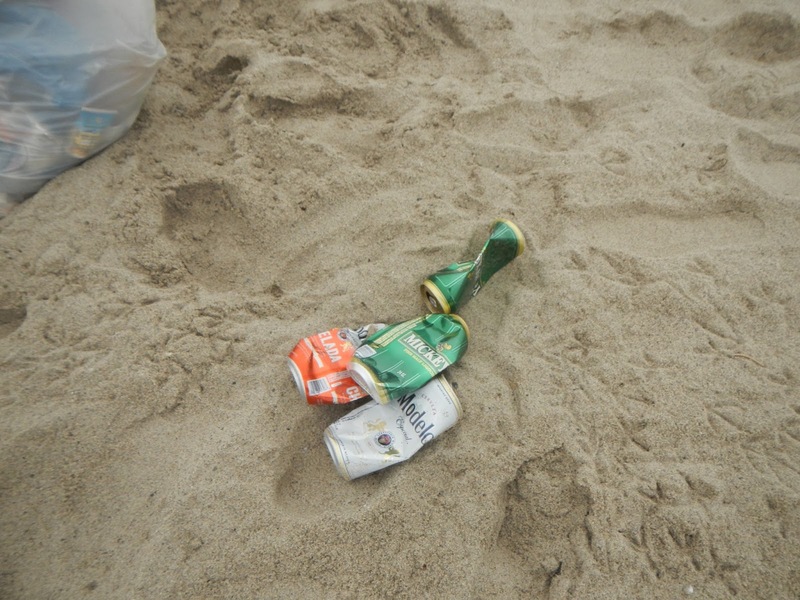 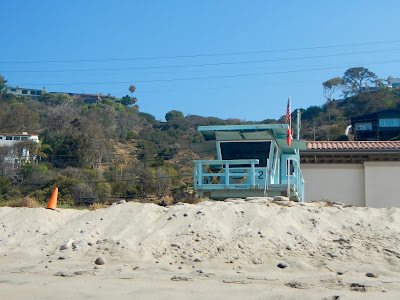 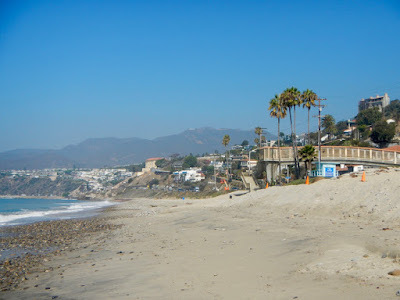 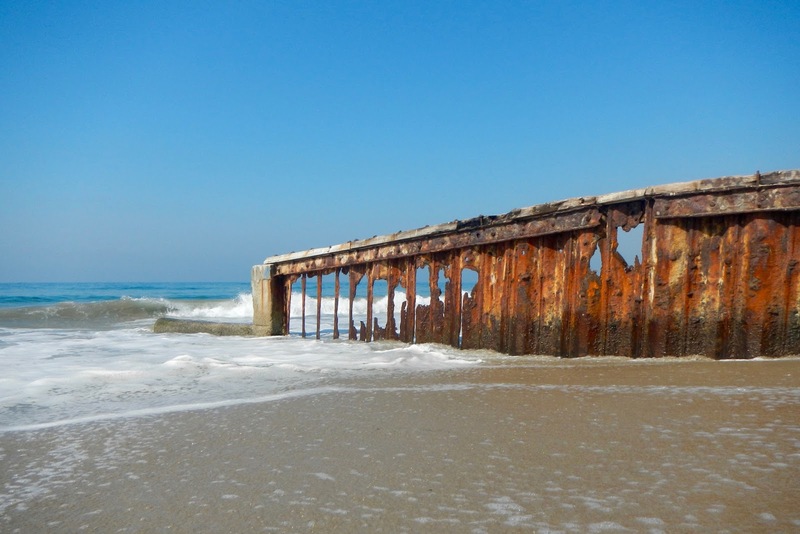 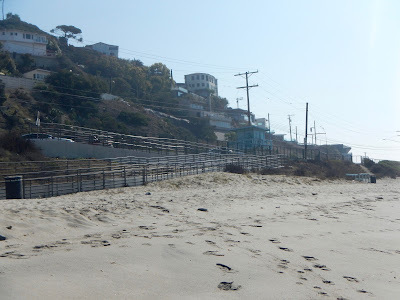 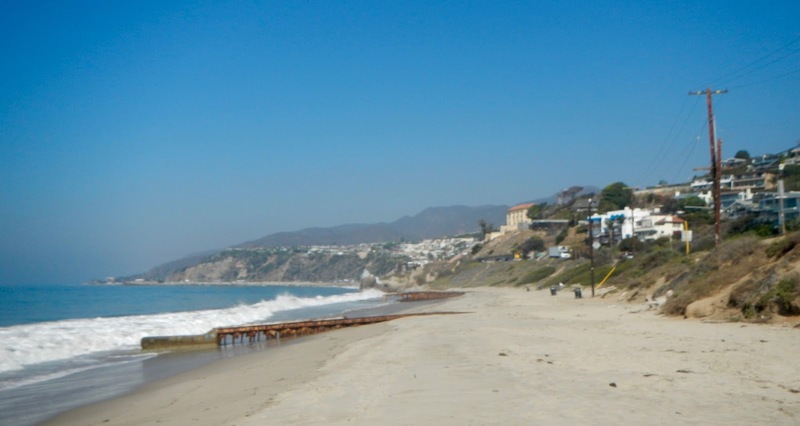 It is hoped that this continuing blog series showing the abundance of trash along the shoreline in the City of Santa Monica will compel the City to do something about and to audit their staff that they say are hand picking this trash along the water line. Our efforts say otherwise. 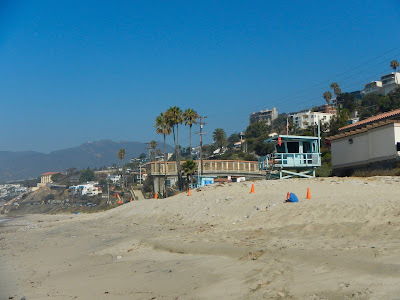 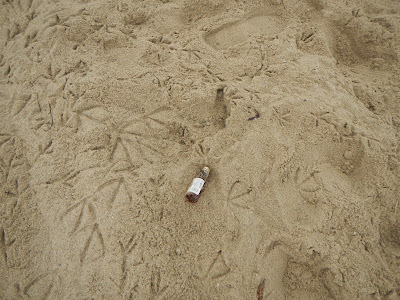 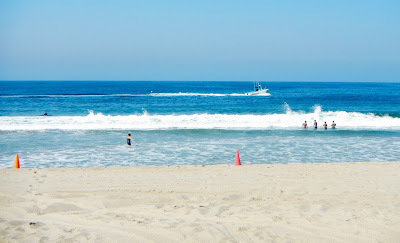 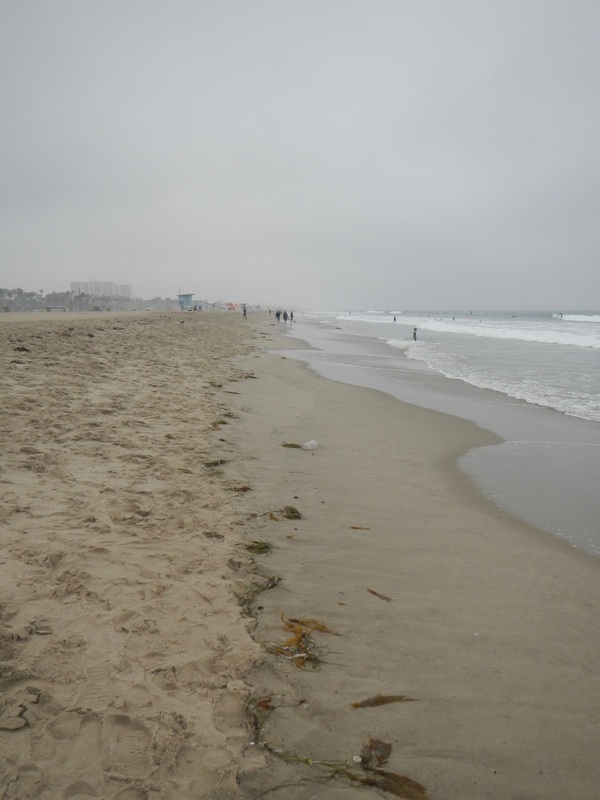 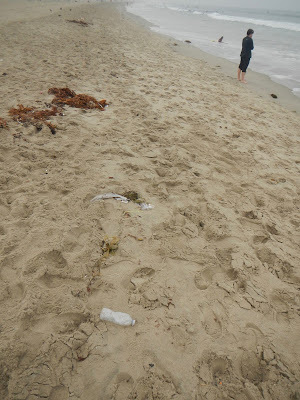 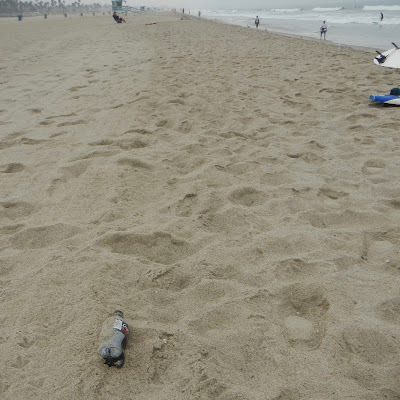 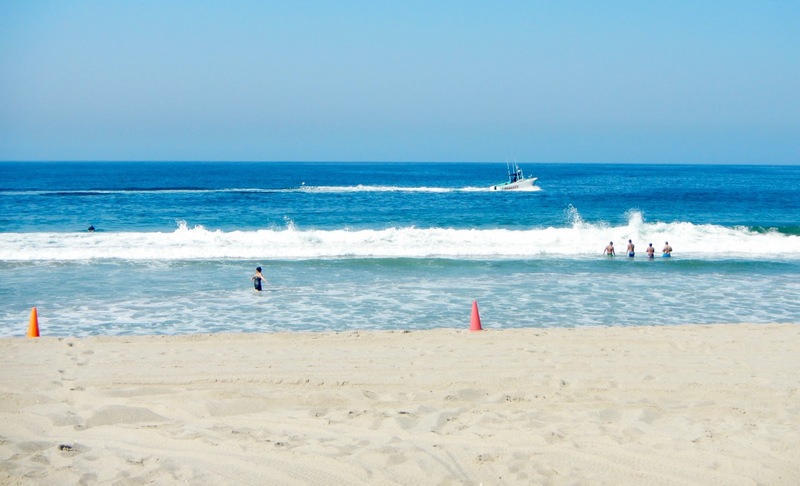 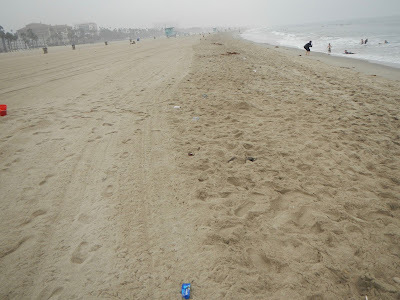 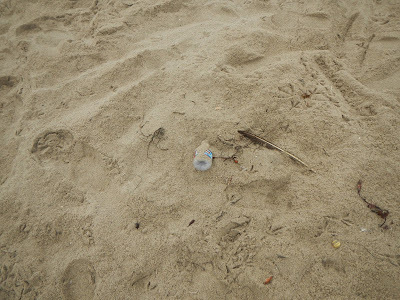 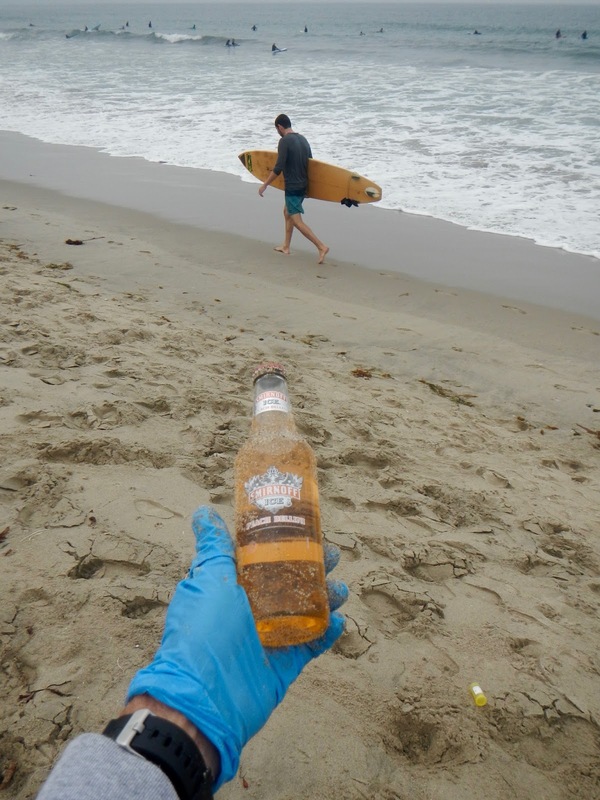 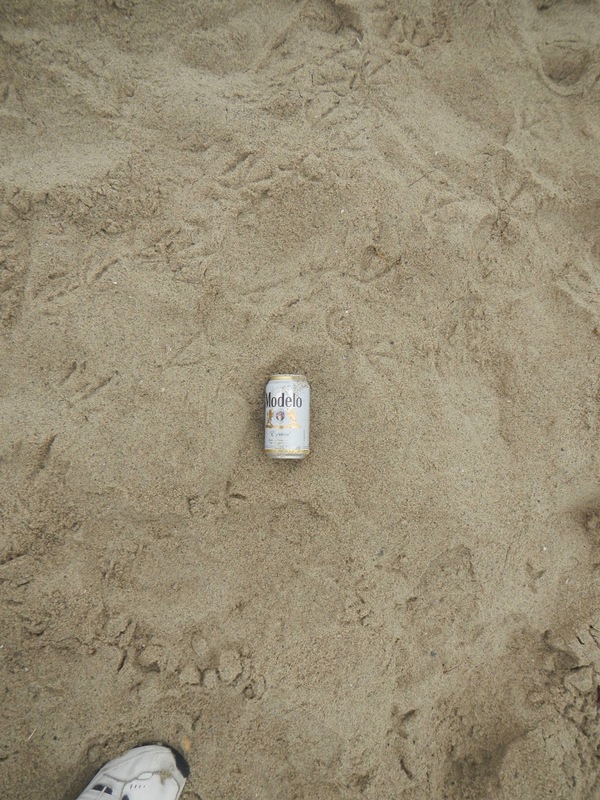 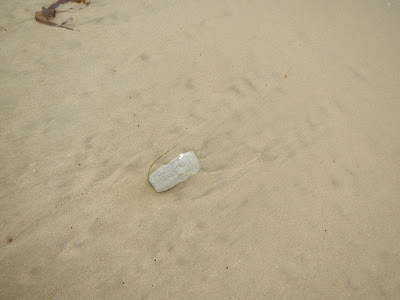 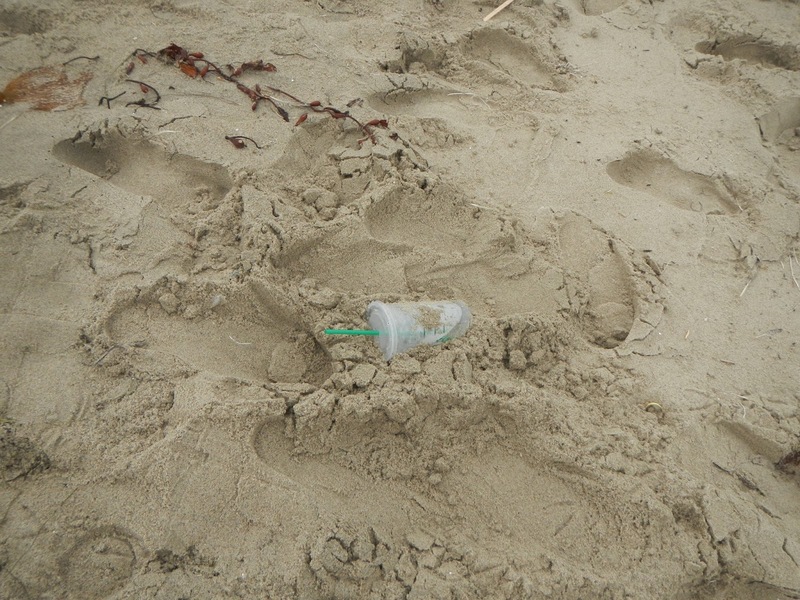 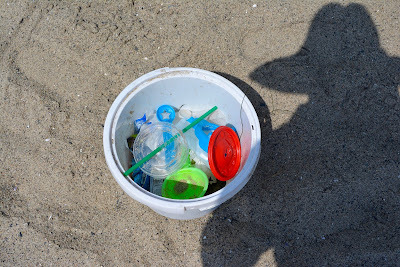 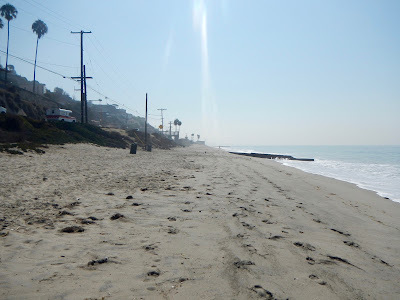 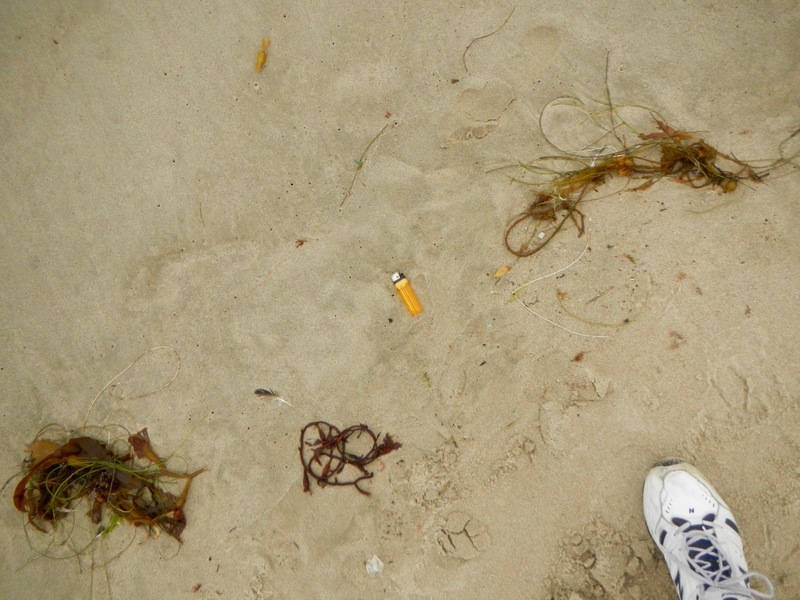 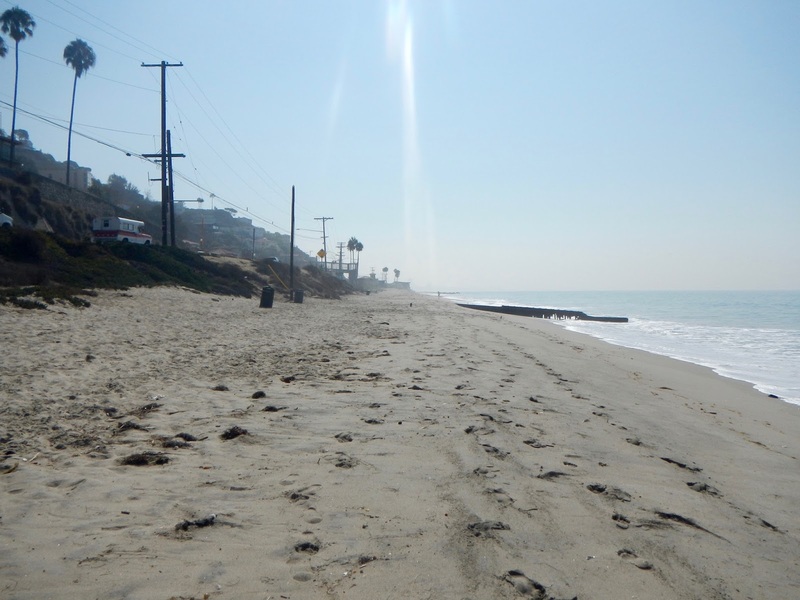 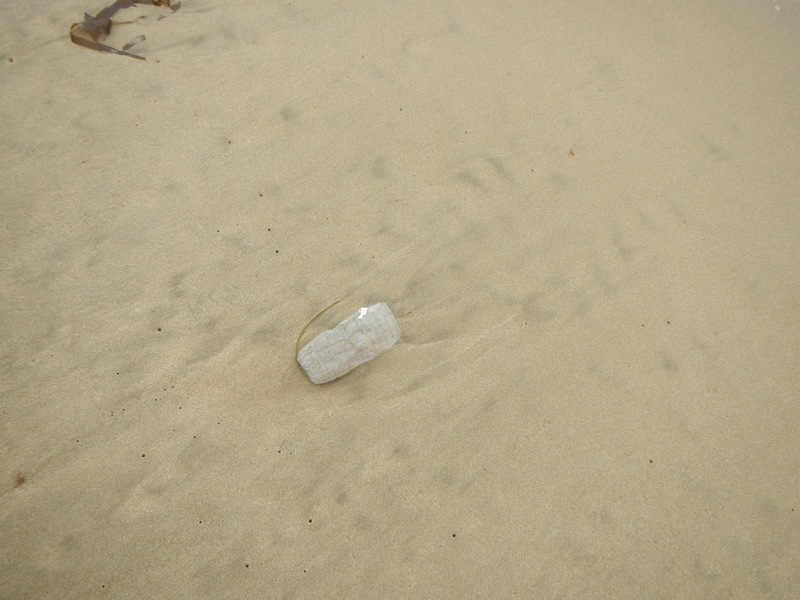 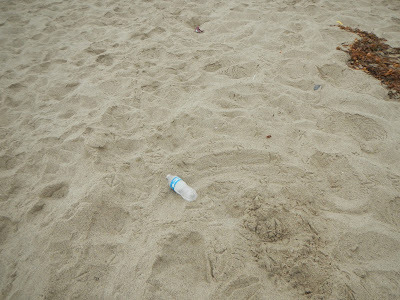 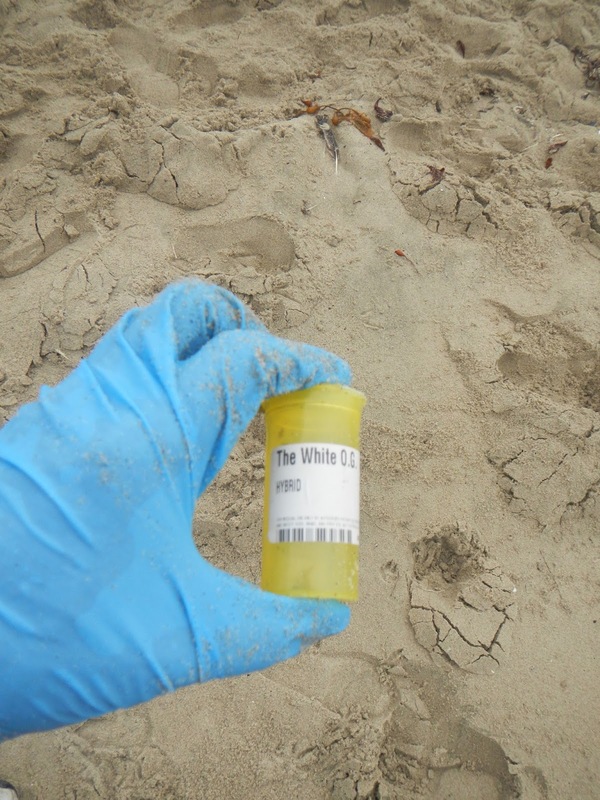 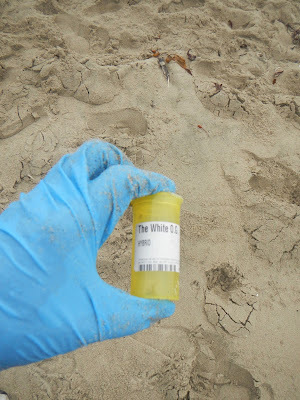 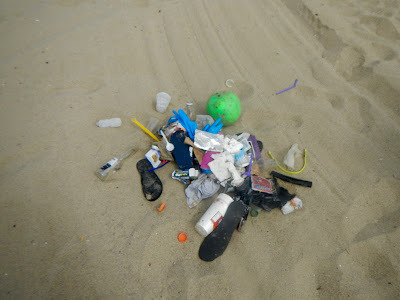 In terms of trash on the beach, WRN is a lot cleaner than Santa Monica South, but we did notice that there was some trash on the soft sand and along the water line that needs to be collected by the LACo Dept. of Beaches and Harbors, which they must be doing because otherwise there would surely be a great deal more trash left behind on the beach. 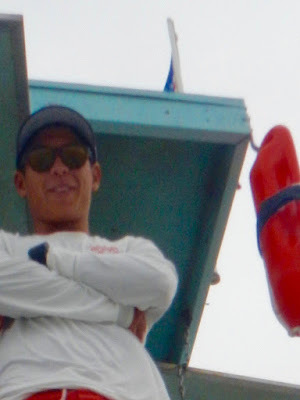 And guess who was the OT OLS Today at WRN?!... Eric Liberty!